encouraging.com: Know Your Enemy! Who Is He? 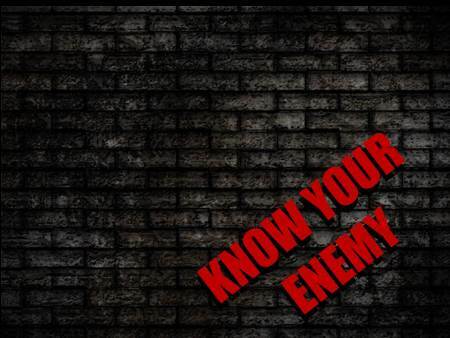 Know Your Enemy! Who Is He? He has many names: Lucifer, Devil, the Great Dragon, Beelzebub, the Father of Lies, the Prince of this World, the Evil One, the Accuser of the Brethren, and the Tempter. No matter which name you use, his purpose is to thwart God’s plan. He is evil personified. Many theologians believe that Isaiah 14:12-20 speaks of the fall of Satan. He was once one of God’s legions of good angels. However, he sought to be like God. You said in your heart,” I will ascend to the heavens; I will raise my throne above the stars of God; I will sit enthroned on the mount of assembly, on the utmost heights of Mount Zaphon. I will ascend above the tops of the clouds; I will make myself like the Most High.” (Isaiah 14:13-14). Example: Exodus 7: 10-12. Aaron threw his staff down in front of Pharaoh and his officials, and it became a snake. Pharaoh then summoned wise men and sorcerers, and the Egyptian magicians also did the same things by their secret arts. Each one threw down his staff and it became a snake. But Aaron’s staff swallowed up their staffs. Satan directs his army of demons and gives them tasks to accomplish. If you want to read the most famous fictitious account of his cunning, read C. S. Lewis’ The Screwtape Letters. This week we are going to discuss some of Satan’s characteristics and how they can affect us. Each day I will give you a scripture to help you win battles against him. We can be victorious over our enemy even before God brings him to his final destination. Today’s ammunition: John 10:10. “The thief comes only to steal and kill and destroy; I have come that they may have life and have it to the full.” Stay close to the Lord and you can have a life full of peace and joy. You can defeat Satan in your life. Dear Father, Educate us this week so that we may know the power of our enemy. Yet, let us remember that our Savior is all powerful and will help us defeat Satan in our lives.